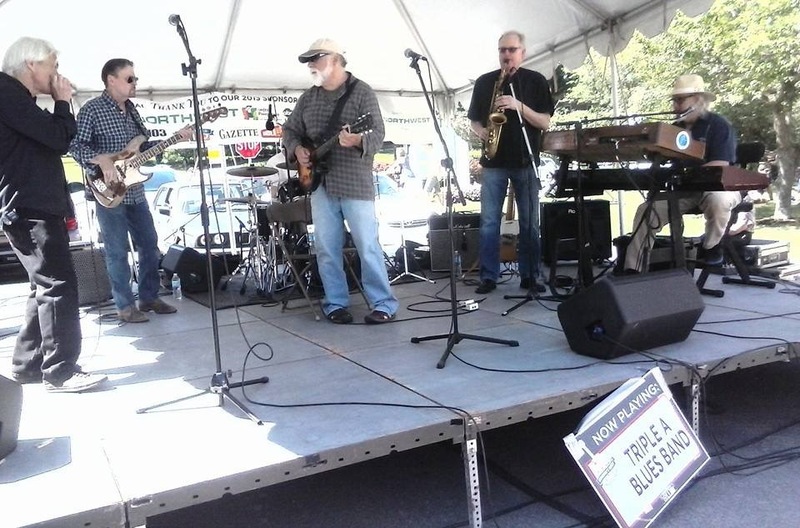 The Triple A Blues Band first performed at the Central Pennsylvania Festival of the Arts in 1991 and has been a constant standard bearer of live blues ever since in Central PA.
they were selected from over 1300 entries for their songwriting and musicianship. Playing nearly every Friday for the last 25 years, the band can be found at Zeno’s Pub in State College for happy hours. 7:00-9:00. A typical Triple A show will run the gamut from Delta and Country Blues, to Chicago, Jump, Swing, and Soul with a good dose of their own compositions.